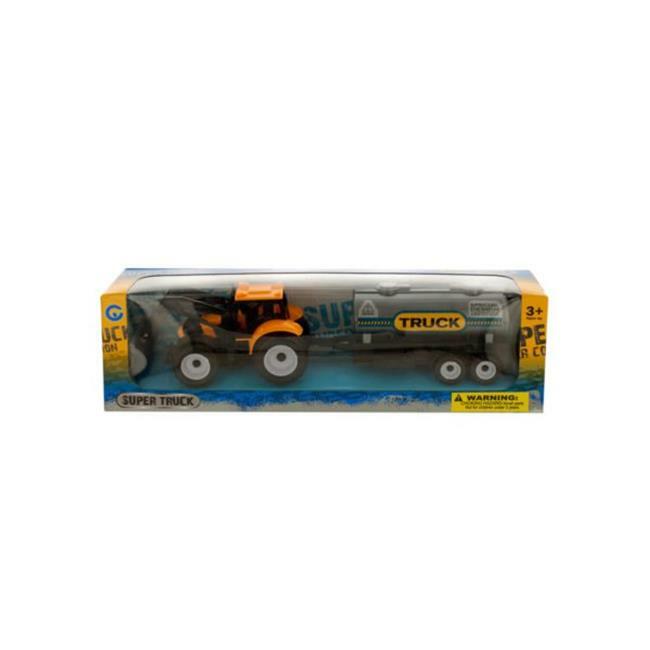 Great for hours of pretend play, this Friction Powered Farm Trailer Truck features a rugged tractor truck with a detachable trailer that carries logs. Just pull the truck back and watch it go - no batteries required. For ages 3 and up. Comes in an individual window box.